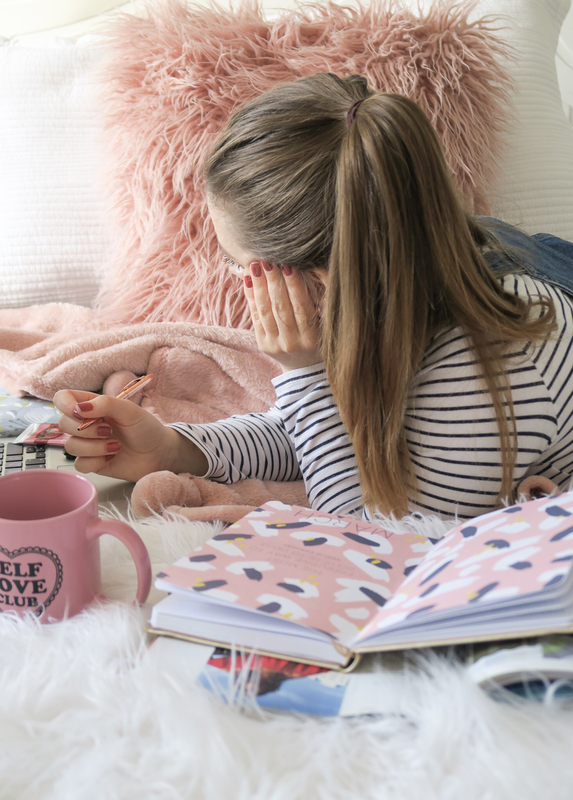 I thought I would put together some autumn wardrobe staple ideas that you could use for inspiration if you’re struggling with what to buy or are unsure of what sort of pieces are on trend to help create your autumn wardrobe this season. I’ve also tried to include affordable items for those who are on a budget. 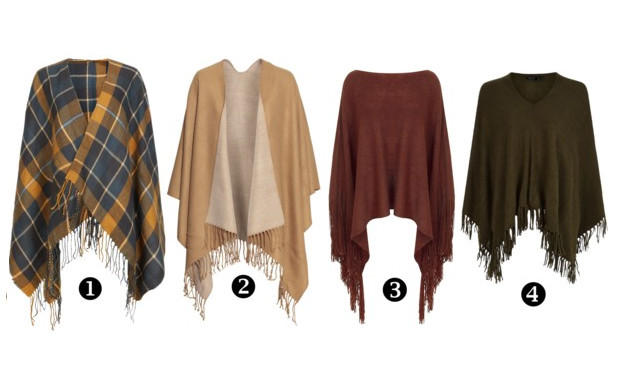 Wrap poncho’s are definitely must haves for autumn time! They are great for layering and throwing on when it is a little cooler. I love the additional feature of the tassels hanging from the bottom of the ones above. They’re so many different colours, patterns and added features on different wraps/poncho’s in many high street stores and online retailers at the moment. My favourite definitely has to be the orange/blue checked from New Look or the camel coloured one from H&M, which are both very affordable. How gorgeous is this colour? It’s something I would never have probably gone for before, but for me personally I think it is just one of those colours that really sum up autumn. This colour is everywhere at the moment, on tops, jumpers, jackets, skirts and dresses etc. Pair this colour with a mid/darker denim and I think it would work really well together. 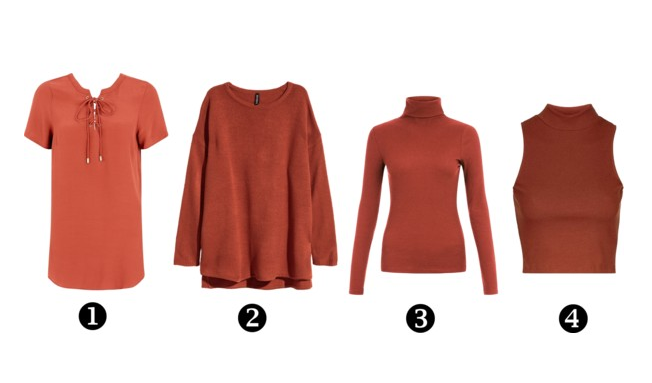 If you’re someone like me who struggles to bring colour into your wardrobe, I definitely think starting with this gorgeous rust colour will help you to bring autumn colours into your outfits. Everyone knows that boots are an essential for Autumn/Winter time. There’s loads of different styles and pairs coming into stores now, as well as appearing online. 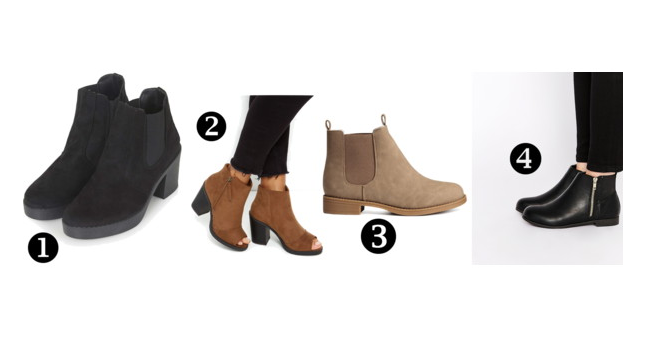 Ankle boots are great for pairing with more casual outfits. I absolutely love the beige ones from H&M , I think they’re so different and could totally see them paired with some mid-wash ripped at the knee joni jeans and a plain white t-shirt with a checked/plaid shirt over the top. Also I think boots are definitely one of those items that you can spend a lot of money on if they’re good quality and you know they’re going to last you a long while. I absolutely love faux fur and how it can add extra detail to any outfit. Also how much more snuggly and warm it feels when wearing an item that has some sort of faux fur on it. I’m literally so in love with the Primark coat (1) I absloutely love the colour of it and the faux fur detailing round the collar of the coat. It is definitely not an item you would even think came out of Primark. 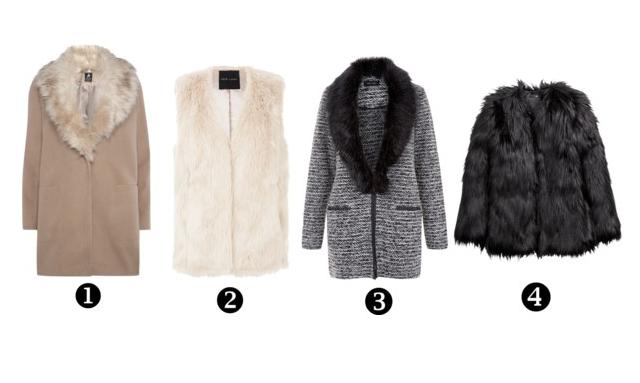 Also faux fur gilléts are great for layering in the autumn, if you throw it on over a long sleeved high neck jumper. This style was popular last Autumn/Winter and it is again this year due to the seventies trend! Roll/high necks appear on so many different types of tops such as knitted jumpers, long sleeved tops, short sleeved tops and dresses. My favourite definitely has to be the camel roll neck knitted jumper from Boohoo. I could so see myself wearing this with some black jeans and some boots. Also the burgundy stretch long sleeve top from Primark is only £4!!! What a bargain. There is also many other colours to choose from so I would definitely recommend going to your local Primark to purchase some if you’re into this style. Another seventies trend inspired item with the suede and tassel details! 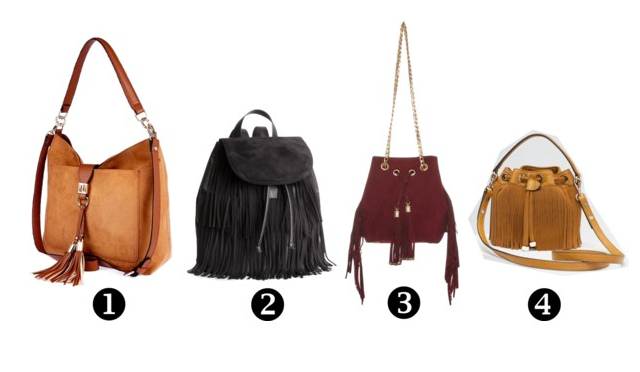 There’s loads of different style and coloured suede tassel bags around at the moment. 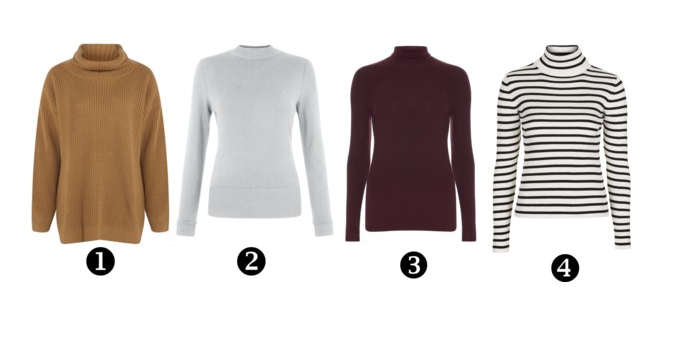 Some that are great colours for autumn, such as the one above from Zara (4).These are just some of my favourite ones, especially the first one from River Island. I love the tan colour and how good quality it looks. It also comes in other colours which are also just as gorgeous. I’d definitely say this bag is worth the money. I hope this has helped to give you some autumn wardrobe inspiration and to know what sort of pieces can be great staple items this Autumn. Let me know what your staple piece is.